In Unit B of QC Design School’s Professional Organizing course, discover why floorplans are essential to the design thinking process for professional organizers. Explore different types of floorplan drawings and learn how to properly measure and sketch a room before beginning any professional organizing job. 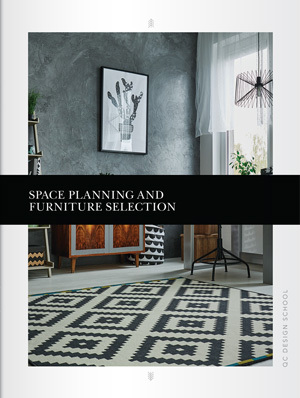 Study space planning and learn how to decipher a room’s balance, visual weight, and traffic patterns. Discover how to establish axis and scale, and how to use these features to create balanced custom interiors that help your clients stay organized. 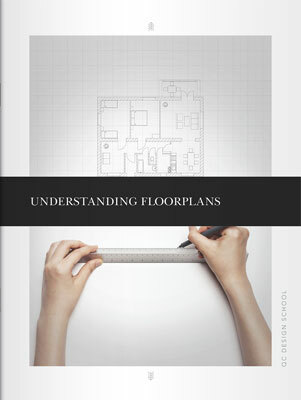 Drawing a floorplan is a vital component of the home design process. A well-drawn floorplan is an excellent communication tool and a great way to plan large-scale organizing projects. It allows professional organizers to work easily with their clients and with other design professionals. Discover the different types of technical drawings and learn how to properly measure and sketch a room. Master the important concept of scale through helpful charts and diagrams, and study the different architectural elements that will be included in your floorplans, such as doors, windows, fireplaces and lighting fixtures. Learn how to use furniture templates to create clear and precise furniture layouts for any space. Professional organizers need to decipher a room’s visual balance and traffic flow patterns upon entering the space. 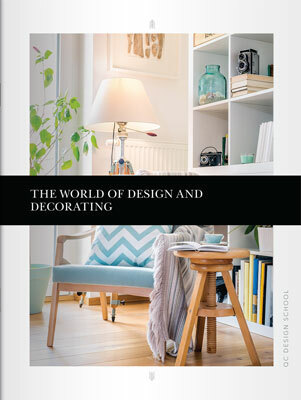 Learn how to identify a room’s focal point and design the room around it. Study various floorplan examples of unbalanced and balanced rooms in order to understand key differences. Discover how to establish a room’s axis and scale, and how to create balanced custom interiors for your clients. Study guidelines for good traffic flow that will allow your clients to move around their homes with ease and keep their spaces chaos-free.